Oh no, not again! The Aussie seems to be my nemesis lately, as I chalked up back-to-back losses trading this currency. 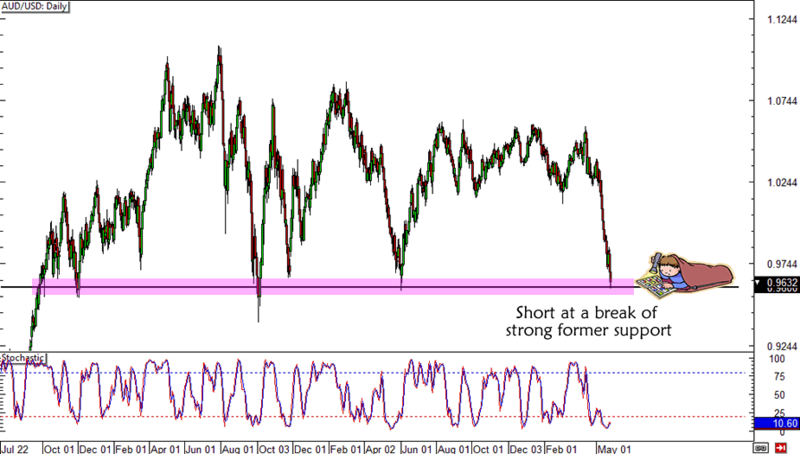 Last week, I thought of buying AUD/JPY then I switched sides this week and shorted AUD/USD. Unfortunately, it appears that AUD/USD’s selloff is already exhausted as the .9600 area held like a boss. It didn’t help that U.S. economic data has been a bit on the weak end lately, with the GDP figure undergoing a slight downward revision from 2.5% to 2.4%. At the same time, Australian data has been mixed, with private capital expenditures falling and building approvals showing a 9.1% jump. So much for a position trade, huh? I was under the impression that the recent downgrades to global economic growth from the OECD and IMF would continue to weigh on the Aussie, especially since China was being pinpointed as one of the reasons for the slowdown. Apparently, other market forces are in play and traders may have decided to just book profits ahead of the summer months. Now that summer is starting, what changes should I make in my trade strategy? Should I go for more day trades and range setups? Let me know what you think! After days of patiently waiting, AUD/USD has finally filled my entry orders! Good thing that I didn’t take out my orders. See, I figured that the economic reports that came out after the FOMC minutes don’t really change the overall picture of weakness for the Aussie. The dollar is still strong, gold is still on its decline, and the comdolls still haven’t recovered from China’s weak PMI last week. I placed my orders at the .9575 handle because I thought that the pair must be headed for more losses if it makes new yearly lows as it had just done a couple of hours ago. For now my plan is to keep my stop losses in place and hold on to my trade until I see a game-changing event like Soros taking profits on his billion-dollar trade. How about you? Do you think that the Aussie is headed for more losses? I’m switching sides, people! After getting stopped out on my AUD/JPY long trade, I have decided to short the Aussie as fundamental factors keep weighing it down. Earlier this week, Australia reported a sharp decline in its Westpac consumer sentiment reading. Apparently, the 7.0% drop in confidence for the month was enough to bring the index below the 100.00 mark, indicating that pessimists outnumbered the optimists in the latest survey. In addition, China just reported a surprise decline in its HSBC flash manufacturing PMI for May. Being one of Australia’s best trading buddies, China’s downturn in manufacturing could lead to lower demand for Australian raw material exports. And let’s not forget the diverging monetary policy biases of the RBA and the Fed. In yesterday’s U.S. session, Big Ben just talked about the possibility of scaling back their asset purchases as soon as the U.S. economy posts significant improvements in labor and inflation. Contrast that with the RBA’s low inflation outlook and openness to further rate cuts, and we’ve got a recipe for more AUD/USD losses! As for my entry, I’m looking to jump in below the .9600 major psychological support as this area has acted as strong support in the past. 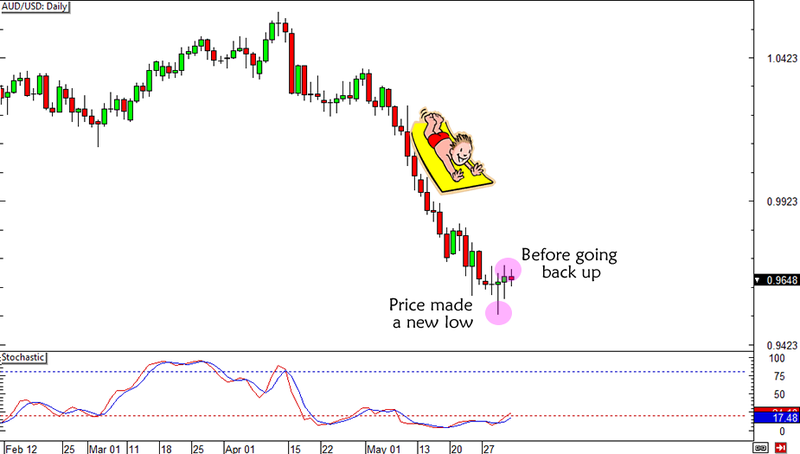 I’ll be using a stop loss that’s equivalent to half of the pair’s weekly ATR and I’ll just trail it by the same amount. 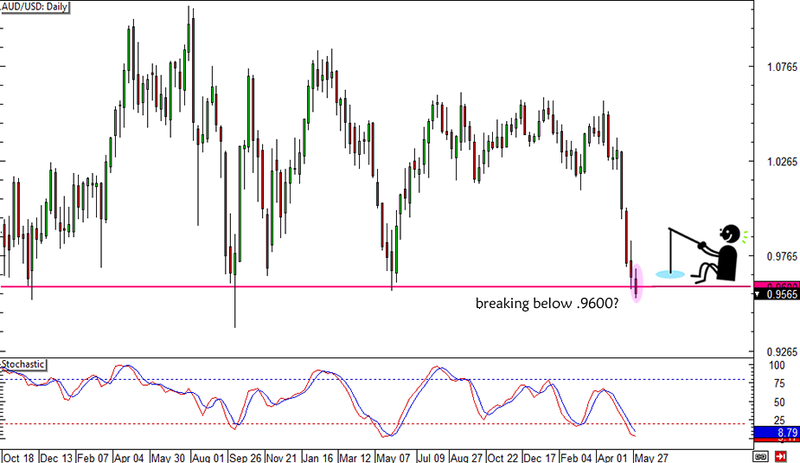 Short AUD/USD at .9575, stop loss at .9665, profit target to be determined. Do you think it’s not too late to catch the AUD/USD selloff? I’d love to get your feedback on this setup! Oh, and don’t forget to read the risk disclosure!